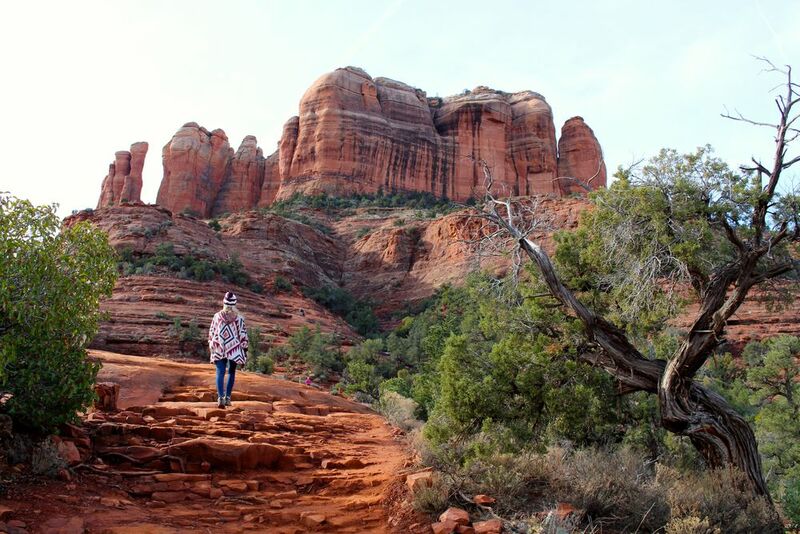 Bell Rock is a magnificent place and a must see in Sedona for undeniably gorgeous views. It’s one of those places that leaves you silent while looking out at the vast red rock mountains accompanied with colors of dark green and turquoise. “Yah, I could live here,” I think to myself. As I also wonder in my head how many times I’ve told myself that throughout my travels. I really could be happy anywhere. We hike up from the parking lot and talk to a park ranger about how far we can climb Bell Rock. We ended up hiking to a path on the left (we were told there was really no wrong way to hike it) and went around the whole circumference of bell rock, arrived at the front and center and then made our way up, to about half way. It's A fairly easy hike (Moderate in some areas the route we took). Normally there is a “red rock pass” daily fee of $5 to leave your car parked in the lot, but because it was MLK Day, the park was open for free to visitors. Directions: From the junction of Routes 89A and 179 in Sedona, take 179 south 3.6 miles to a paved turnout and trailhead parking on the left (east) at milepost 309.8, .2 miles south of the entrance to the United Methodist Church for the northern trailhead. For the southern trailhead, from the South Gateway Visitor Center, go 1 mile north to Bell Rock parking area on your right. Located in Coconino National Forest, Cathedral Rock is one of the most photographed areas in Arizona. 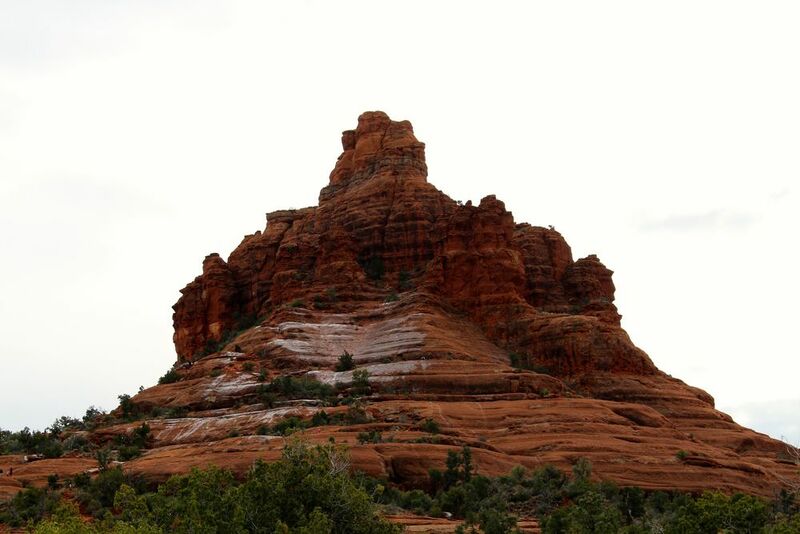 The natural beauty of Cathedral Rock has been drawing spiritual visors for decades and is considered one of the strongest Vortexes in Sedona. It is more of a rock climb than a hike. It is short, .7 miles, but strenuous and quickly rises 608 feed in elevation. The climb has great views all along with spires rising majestically from the sandstone base, but the most spectacular are from the top. Directions to Cathedral Rock: Located just south of Sedona, take Highway 179 south from the 89A/179 split. Travel 3.4 miles and on the first roundabout, make a right on Back O'Beyond Road. Travel 0.6 miles to the parking lot on your left. The trail head is at the south end of the parking lot. What a magnificent area to watch the sunset. *Note: do not leave once you see the sun set behind the mountains. 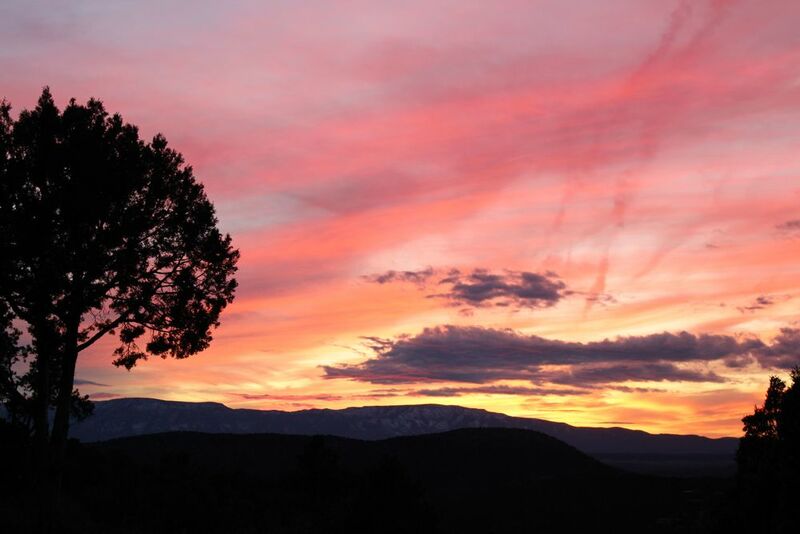 Most of the magic happens about 30 minutes - 1 hour after you can no longer see the sun, casting an array of hot pinks, oranges and yellows throughout the sky and surrounding mountains. Be sure to check out the mountains as you watch the sunset, because some pretty magical light is casted for great photo opportunities. Airport Mesa is named for its location next to the small Sedona airport. Getting There: Drive West out of Sedona on the Arizona Highway 89A and turn left onto airport road. Go straight up the road to the top (before you reach the airport), where you will see a flat area to your right (there will be people there already) and a parking area to your left. Just park and walk over! There’s something that I love about the charm and hospitality of a bed and breakfast. Adobe Village Inn, a 7 bedroom house, is situated about 1 mile from the famous Bell Rock, and has a view that makes you want to stay forever. Each room is uniquely decorated and has either a seasonal gas or wood burning fireplace. Also downstairs is a large community area with dining area, fireplaces and comfortable couches to relax in. We were led to “The Tumbleweed”, a southwest rustic charm room, with a fireplace, homemade cookies from Cheryl, the owner, and a bed that made me feel like I fell into the clouds of heaven. Waldorf salad, cinnamon streusel muffins, southwest veggie frittata with salsa verde and turkey sausage. We had more than a positive experience staying here, and would definitely recommend it to those traveling to Sedona.